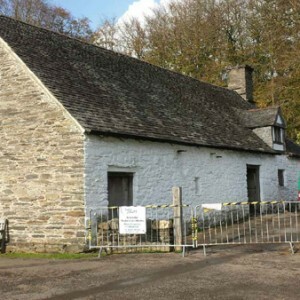 We are an approved stone restoration and heritage building cleaning contractor for the Welsh Government’s historic environment service (Cadw) and the National Museums of Wales. 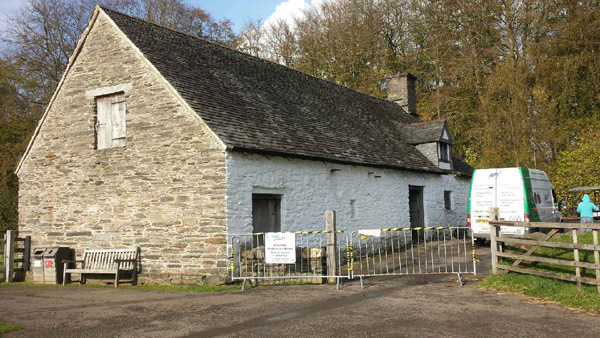 We are proud that our soda blasting team helped with the re-opening of one of the heritage buildings at St Fagans National History Museum. 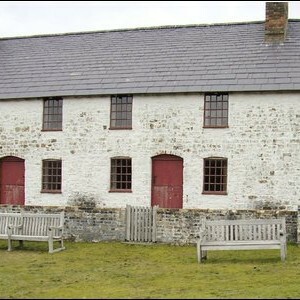 St Fagans National History Museum is one of Europe’s foremost open-air museums representing the life and culture of Wales and is situated in 100 acres of parkland near to Cardiff. 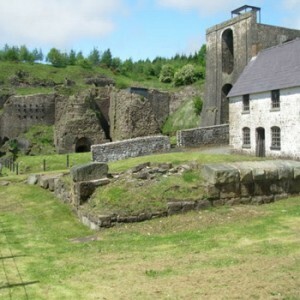 It was opened to the public shortly after the second world war and since then, over 40 buildings from different periods have been re-erected here making it one of Wales’ most popular heritage attractions. 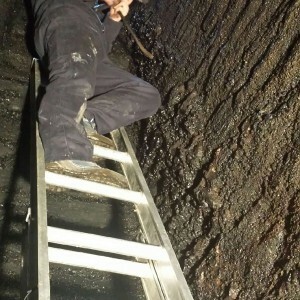 We were called in as one of several stone cleaning services to look at the problem of renovating a fireplace flue in Cilewent Farmhouse. 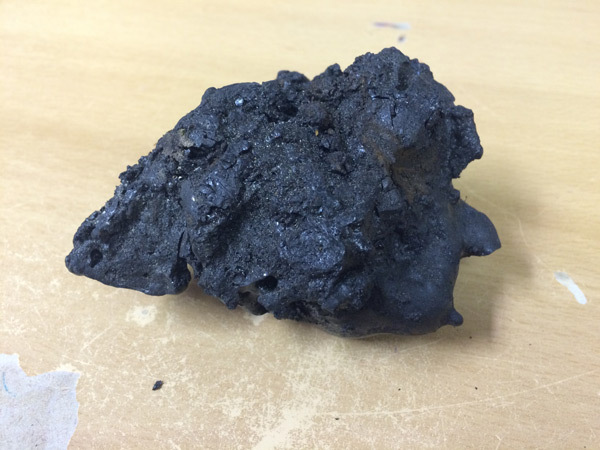 The interior of the flue had become a fire risk due to the build up of tar and resins from centuries of use. 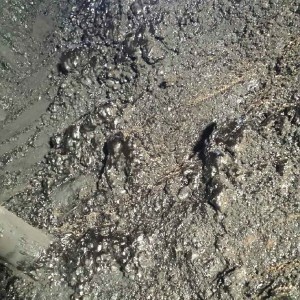 We met with the museum authorities and our site manager was greeted by the sight of around 50mm thickness of deposit requiring removal. 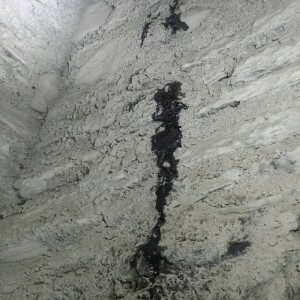 The feel and appearance of the layer requiring removal was that of a very hard tar. 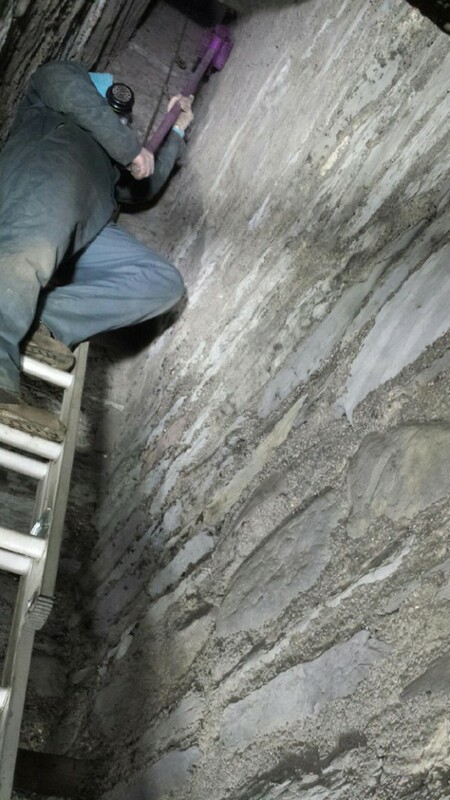 Following our initial appraisal of the issue, we recommended that our soda blasting method of stone restoration would be the best solution for the conservation of the stone flue in this fine heritage building. 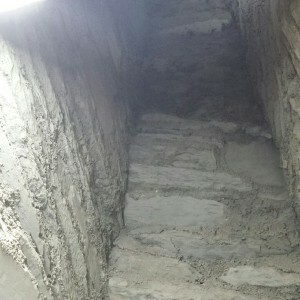 The conservation architects and curators approved a trial which duly took place. 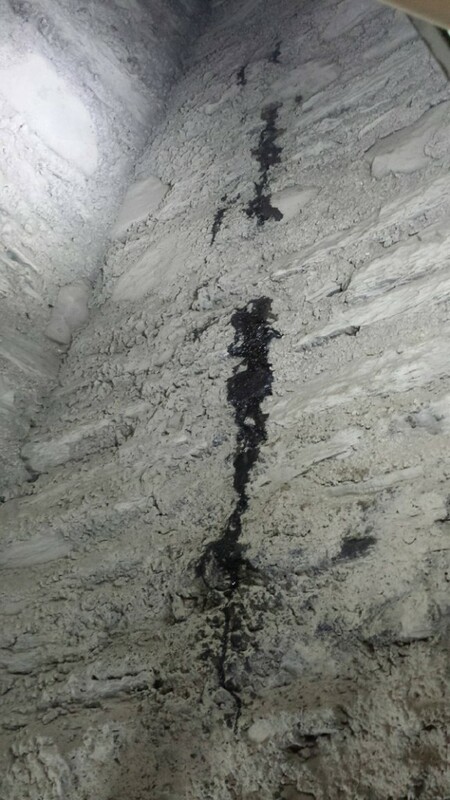 Soda blasting is a gentle form of blast cleaning that is particularly effective for the removal of organic deposits such as bitumen and tar. 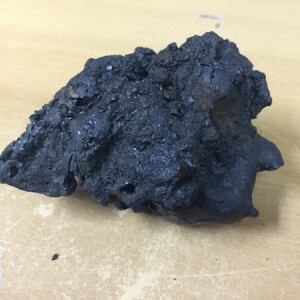 It uses bicarbonate of soda as the blast material. 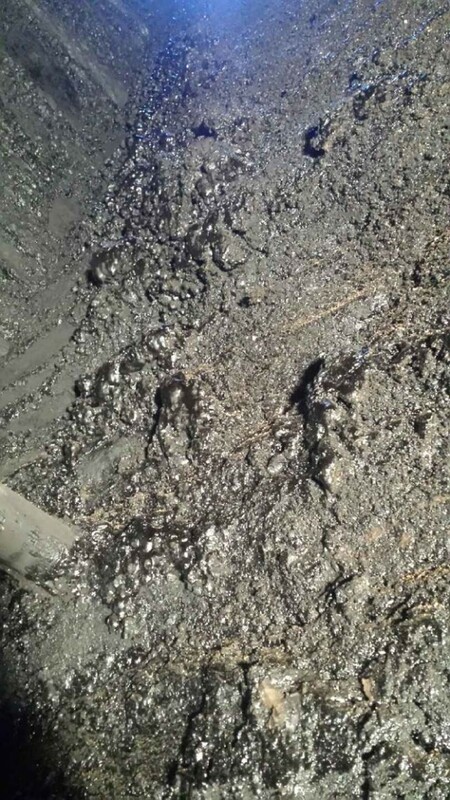 When this hits the surface undergoing cleaning, the small crystals shatter and the energy from this disrupts the surface of the contamination. 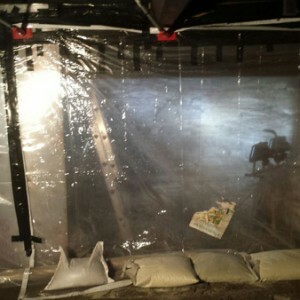 The contamination is then simply blown off by the compressed air flow. 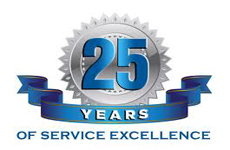 There are two reasons why it is a safe method for heritage stone restoration. 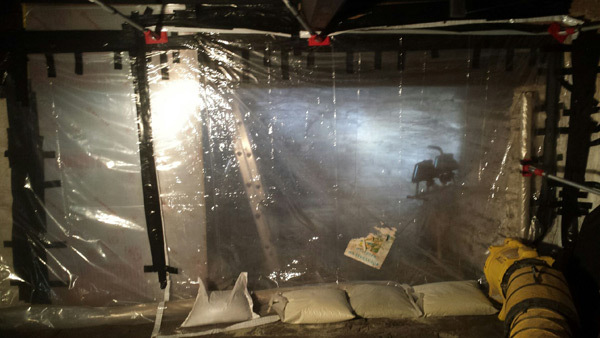 Firstly, it works from the outside, removing layer after layer until the stone is reached. 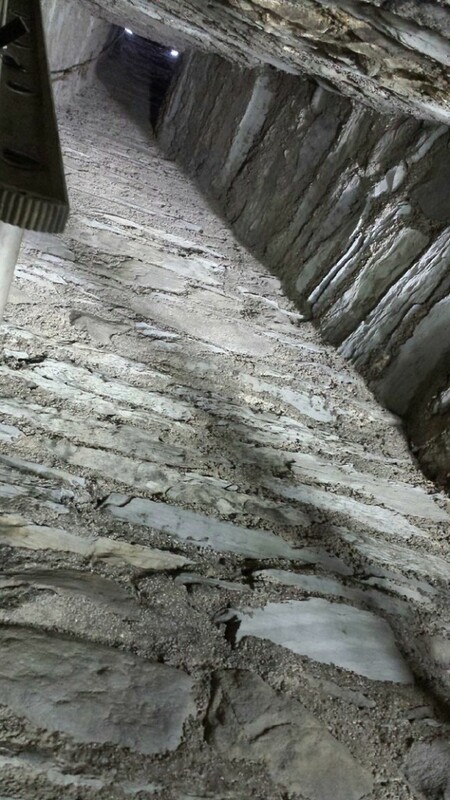 Conventional blast cleaning relies on the blast medium breaking the bond between substrate and contamination piecemeal and is therefore much more aggressive to the heritage stone beneath. Secondly, bicarbonate of soda is a material that is only as hard as talc. 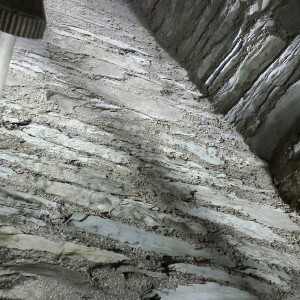 It is therefore much softer than stonework and will not scratch or abrade it once the contamination is removed. 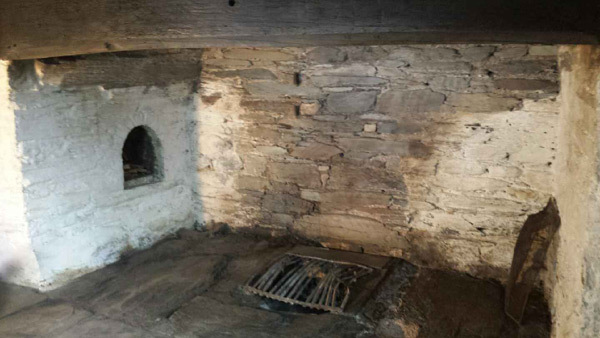 In a flue, this is excellent news as any parging is likely to be soft and brittle so soda blasting will leave it intact, however, at St Fagans, there was no parging, the flue was stone and brick lined. 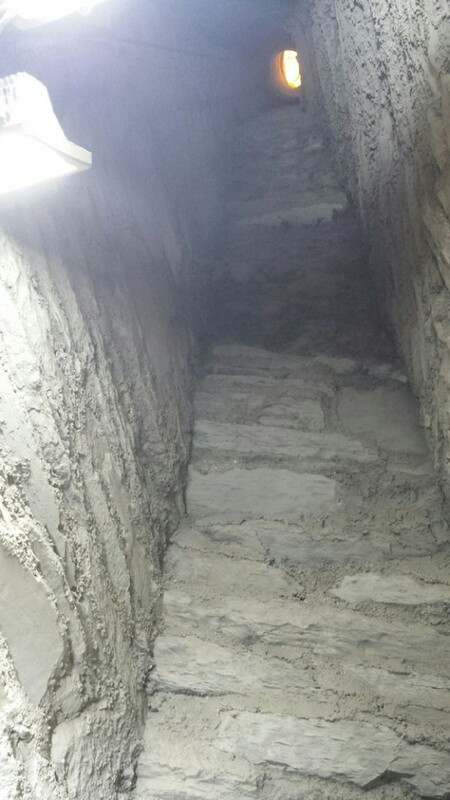 Following the trial, we were duly appointed as the stone cleaning contractors. 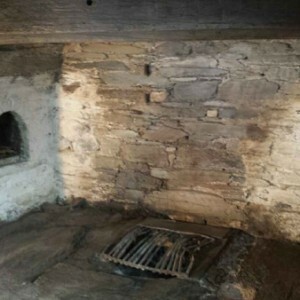 Prior to starting, it was necessary to clear the room of furniture and to seal the fire opening to contain the waste from the stone cleaning process. To achieve the latter we used a framework and sealed the edges against the hearth and fire surround using tape. 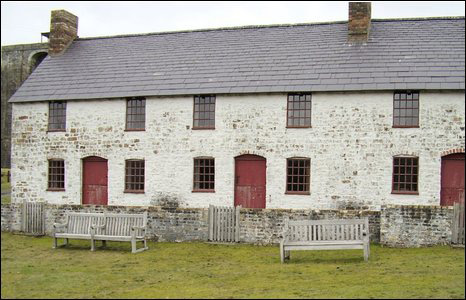 Once the cleaning was completed and our equipment back in the vans, the furniture was re-instated and St Fagans could make the room available to the public once again. 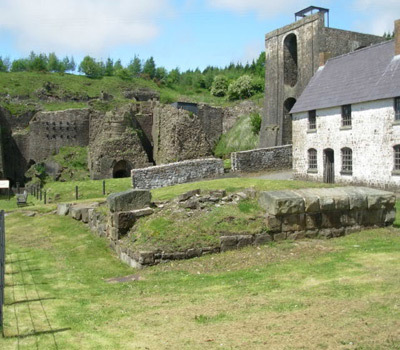 If you have a listed building or are a manager of a heritage site, contact us to find out how we could help you with any heritage building restoration projects that you may have – APT are the leading soda blasting company in the UK. Ring 01495 308048 now for help and advice with your brick cleaning or architectural masonry renovation requirements. 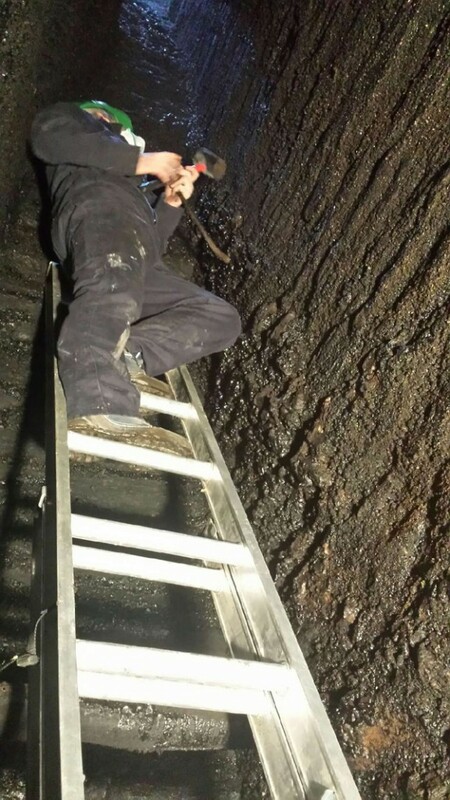 Since it was a large single flue, there were no withes to hinder the use of a portable lift to enable our technicians and their soda blasting equipment to access the whole 25 metres of the opening over the course of 3 days of cleaning. The waste from the cleaning was simply brushed and vacuumed into our waste containers for transportation and disposal, in accordance with environmental legislation.